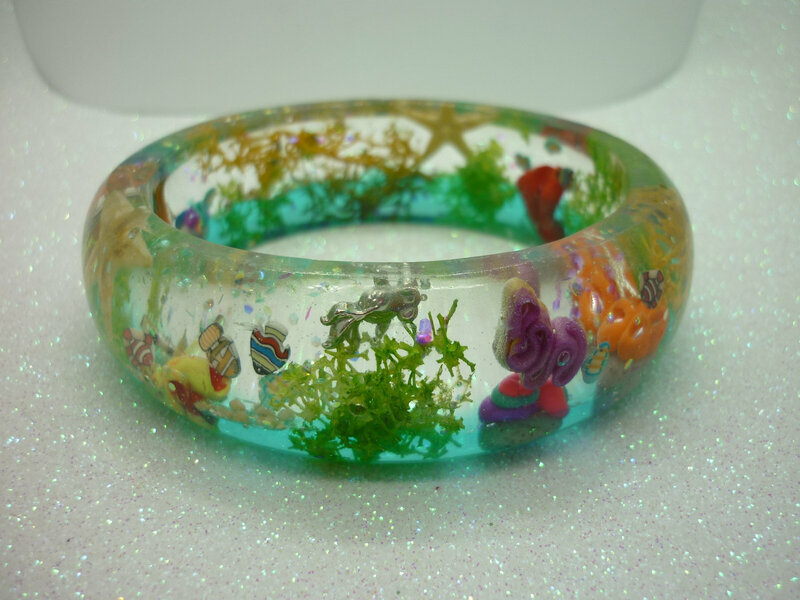 Wear an underwater world on your wrist. Each bangle is unique with its own hidden treasures. What can you see? 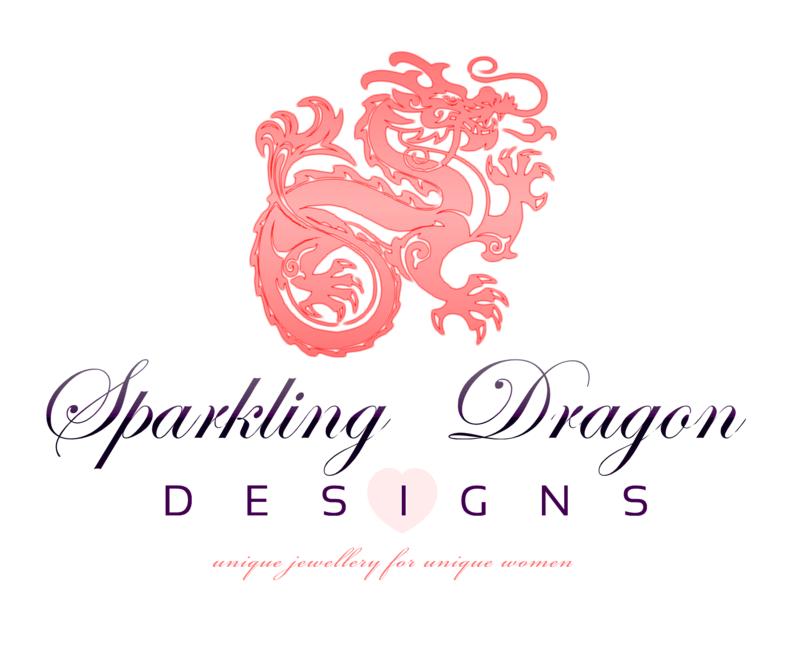 What will you find in your bangle: turtles, mermaids, seahorses, crabs, shells, fish, coral, sharks…..? 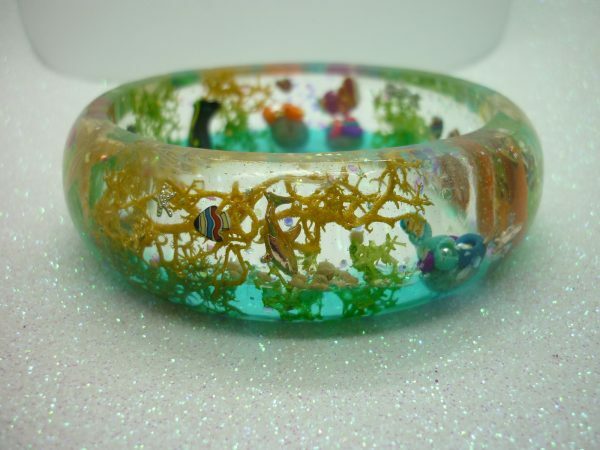 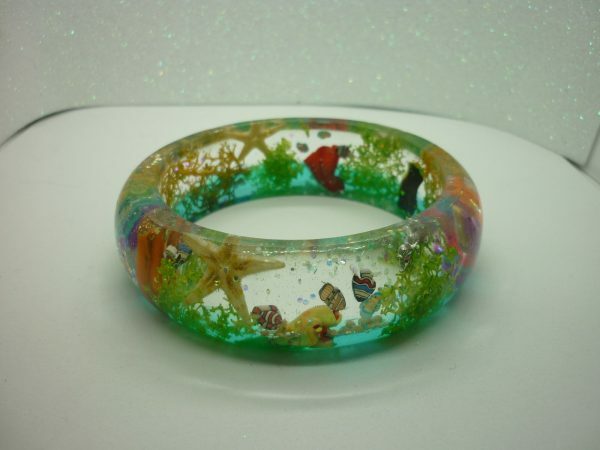 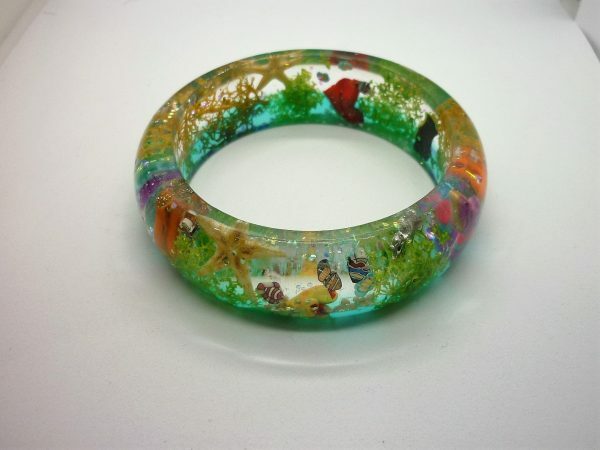 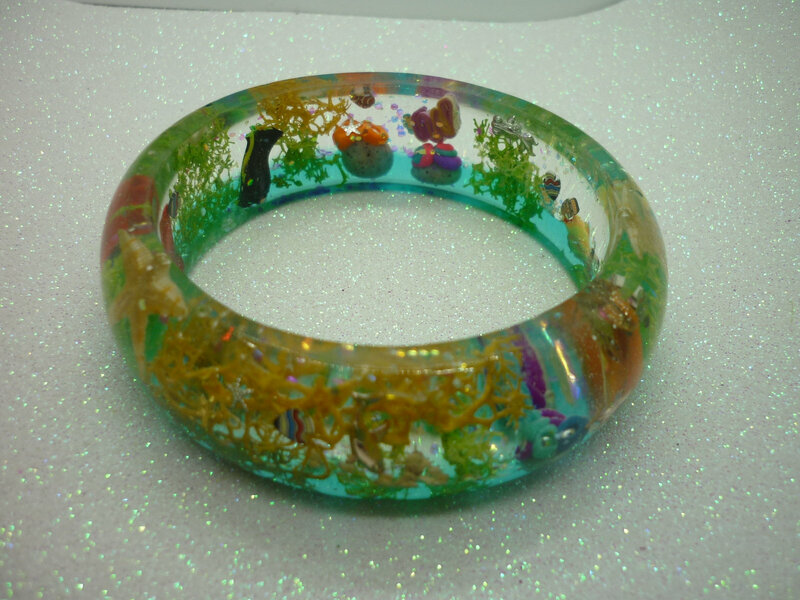 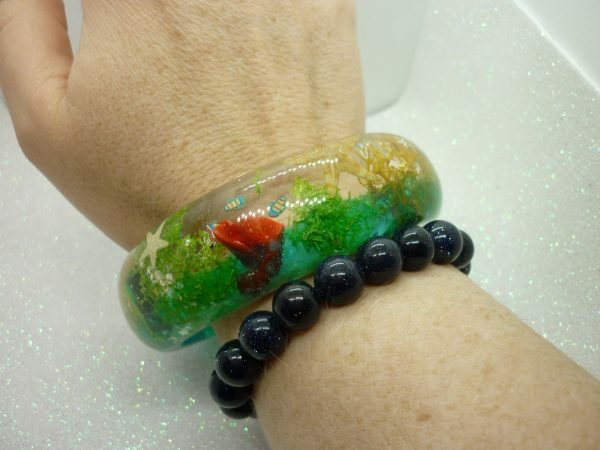 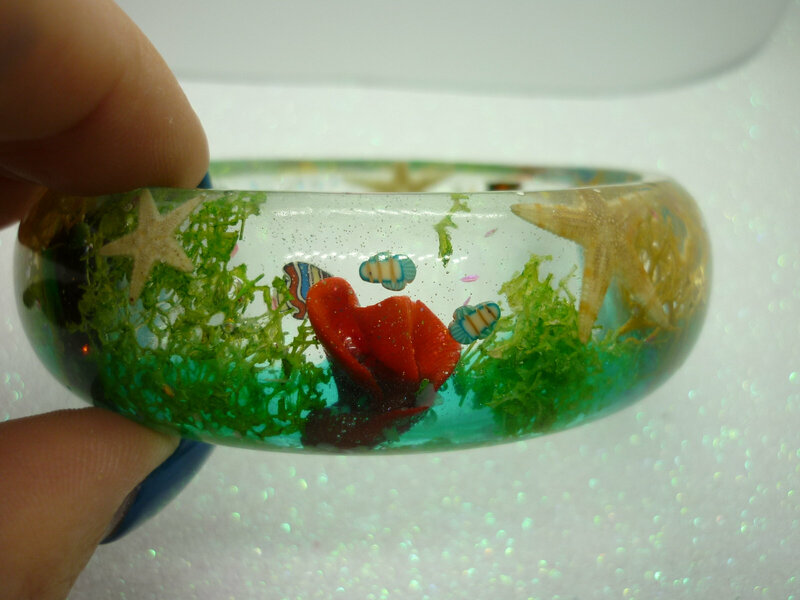 This gorgeous handmade coral reef bangle features a miniature world under the sea. 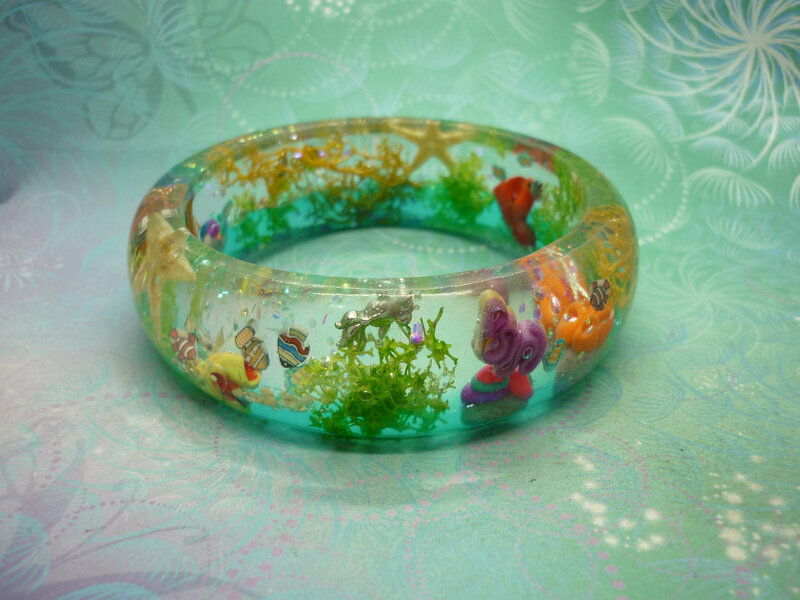 It contains cute little charms to create the perfect image of a beach or coral reef inside a bracelet, look closely and discover the tiny hidden treasures in your miniature coral reef bangle. 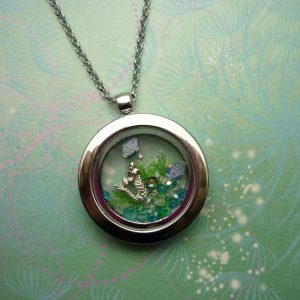 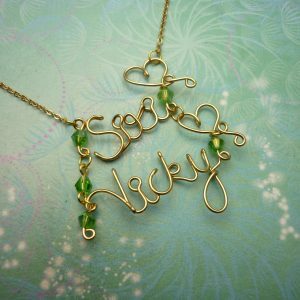 I have created each bangle with resin and a variety of handcrafted inclusions; along with a selection of oceanic charms, decals and natural items. 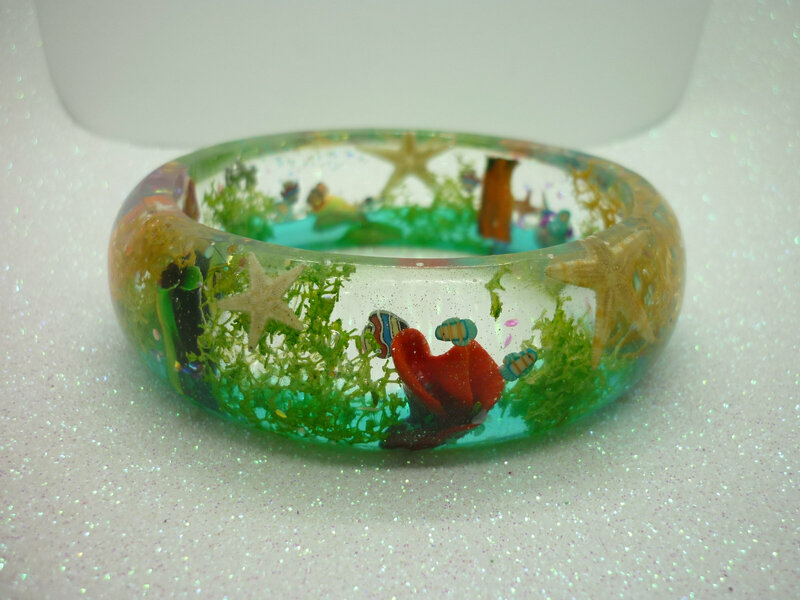 Each bangle is cast in many layers some taking days to complete, then once they are cured they are then sanded and hand polished to a shine. 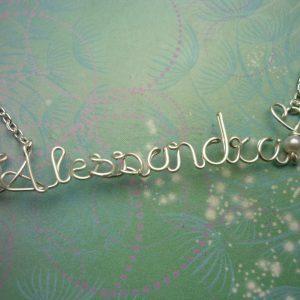 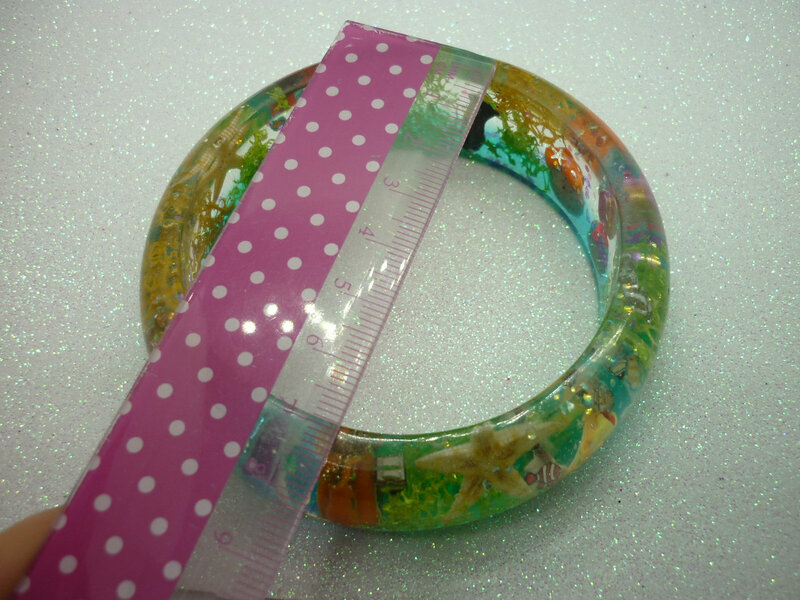 Size – 2.4cm thick/wide x 68mm diameter.